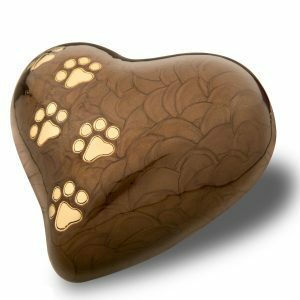 Heart Bronze Pearl urn has beautiful gold tone paw prints in a path that shadows this heart shaped urn. 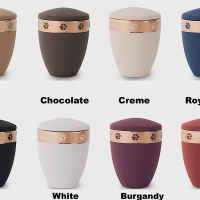 They are modernly designed, with a look of elegance. Pearl Heart Bronze Gold Tone Paw Prints with gold tone paw prints gives you the ability to have your family pet member close to you with feelings they are in your heart. 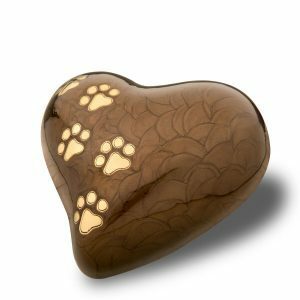 The Heart Pet Pearlescent Large Bronze is a heart shaped pet cremation urn for ashes with a deep bronze hand applied pearlescent finish accented with gold paws. 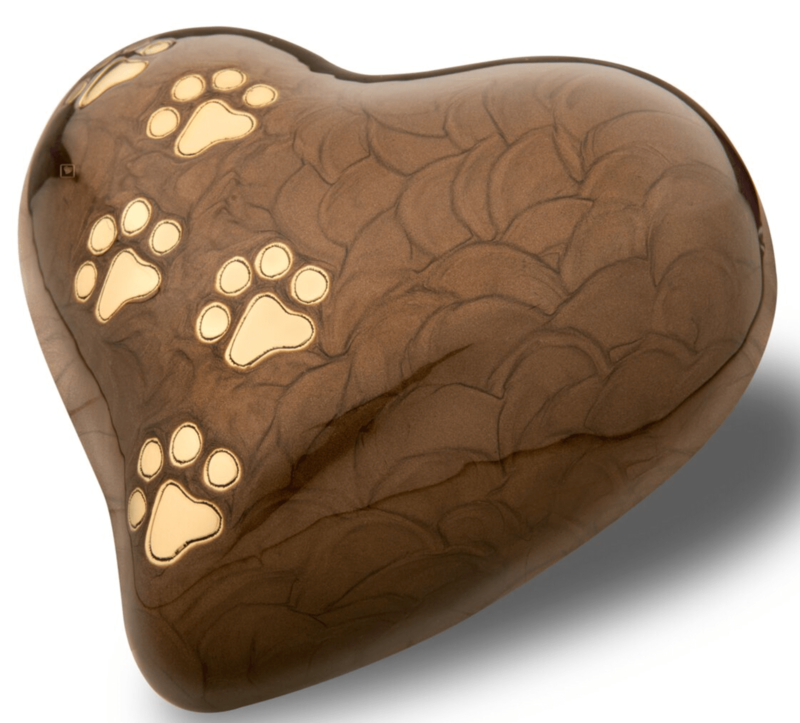 The Heart Pet Pearlescent Medium, Bronze is a heart shaped pet cremation urn for ashes with a deep bronze hand applied pearlescent finish accented with gold paws. 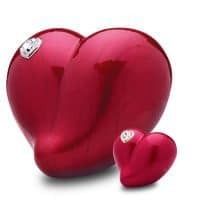 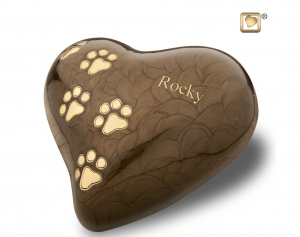 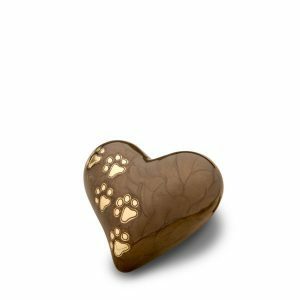 The Heart Keepsake Pet Pearlescent Bronze is a heart shaped pet cremation urn for ashes with a deep bronze hand applied pearlescent finish accented with gold paws.